With the pressure on broadcasters to produce rich content in more settings, flexibility in broadcast solutions is very important. The rise of digital streaming and social media is adding demand for more formats, and as production teams work to switch over to IP they are juggling more workflow types with SDI, IP or a combination of both. To meet these diverse needs, Grass Valley is cultivating strategic relationships and developing upgrades to key solutions that comprise the Broadcast Data Center to ensure that broadcasters’ networking systems leverage the benefits of COTS hardware platforms and support the growing need for 4K and HDR workflows. At IBC 2017, Grass Valley will showcase multiple parts of the Broadcast Data Center: GV Node v2.1 and GV Convergent v1.3, both supporting the proposed SMPTE ST 2110 standards; the IPG-4901 gateway which normalizes IP signals sent to GV Node; the KMX-4921 Kaleido multiviewer, which is fully integrated into the GV Node platform and provides monitoring flexibility for HDR content; and Cisco Nexus 9200/9300 IP media network kits. 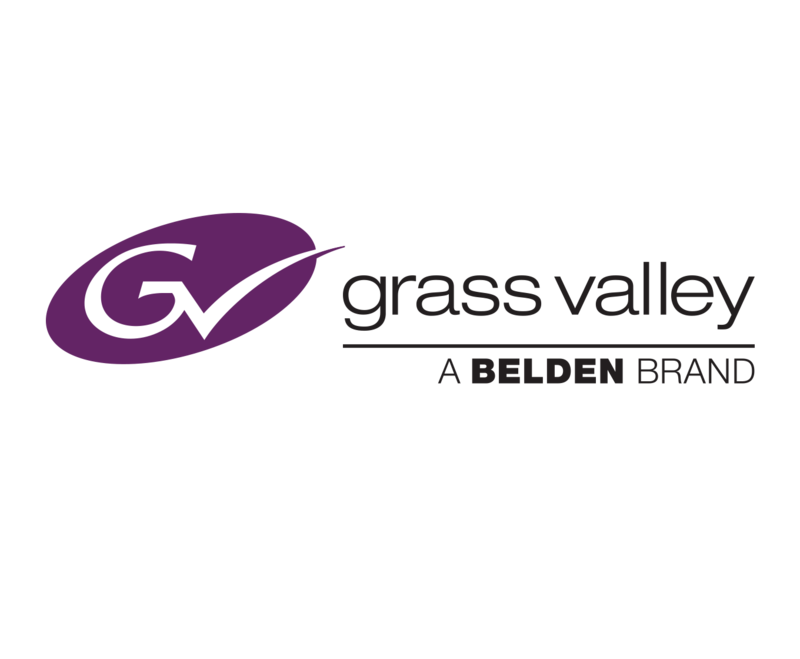 GV Node v2.1 is the cornerstone of Grass Valley’s Broadcast Data Center. It offers integrated processing, routing, aggregation and multiviewing in an all-in-one platform, creating a cohesive solution for any environment whether SDI, hybrid SDI/IP or IP. GV Node’s distributed architecture means it’s ready for the facilities of the future. It’s a truly next-generation routing and processing platform that continues to support advanced SDI-based workflows to leverage existing systems while making way for live telecasts over end-to-end IP. The new KMX-4921 multiviewer comes fully integrated into the GV Node IP aggregation, processing and edge routing platform, offering the monitoring of HDR sources on current SDR displays, alongside SDR sources. The new model also boasts an increased I/O capacity to 54 x 4 and SCTE advanced probing features for critical monitoring in a master control room. This integration within GV Node eliminates cables between the multiviewer and the router, translating into cost and weight savings, providing operational simplification of a single chassis solution for routing and multiviewing. As more broadcasters adopt IP solutions, GV Convergent v1.3 provides next-generation control of IP and SDI networks, including multilevel routing for the proposed SMPTE ST 2110 essence based flows, while also providing in depth visualization and control of the IP fabric. The complete control system is both infrastructure and signal format independent to adapt to unique facility needs and allow broadcasters to make real-time modifications through an intuitive interface and custom system configurations. In combination with GV Node and GV Convergent, IPG-4901 offers Broadcast Data Centers the utmost in flexibility. This new gateway provides a robust feature set for normalizing variances in IP signals sent to GV Node. It takes signals that are not SMPTE ST 2110 and converts them, enabling enormous adaptability in IP workflows and creating a truly end-to-end IP solution. The IPG-4901 allows distribution beyond Local Area Networks; so together, GV Node with IPG can now offer the transfer of information with a distance of up to 40KM between ports. Grass Valley’s NV8500 Output Gateway delivers up to 16 uncompressed ST2022-6 flows to a media network, allowing for limitless multiviewer expansion. With the NV8500, a bridge between SDI and IP infrastructure can be built, providing a managed transition between SDI to IP. As part of the Broadcast Data Center, GV Node, GV Convergent, IPG-4901 and the KMX-4921 multiviewer, along with COTS switches from Cisco and other providers, represent a robust and scalable IP solution that’s fully standards compliant, offering ensured interoperability.